❤ Please contact us when you have any problem before/after you use the selfie light any time. 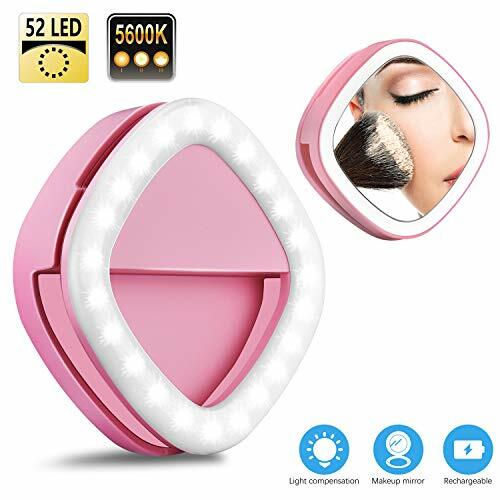 ❤ It can help you bright your face when you ready to selfie or make live videos and video chat with friends,ect. ❤ You can use it as a light when you are in the dark. ❤ It’s also can use as a mini portable battery in emergency with 800 mAh battery capacity to keep your phones operating. ❤ It can be work with iphone5/5s/6/6s/6 plus/7/8/X, PC, Samsung, iPad, HUAWEI Honor, HTC, LG, XIAOMI, mac books, ect. Wide range of the clip: 0.43 inch.